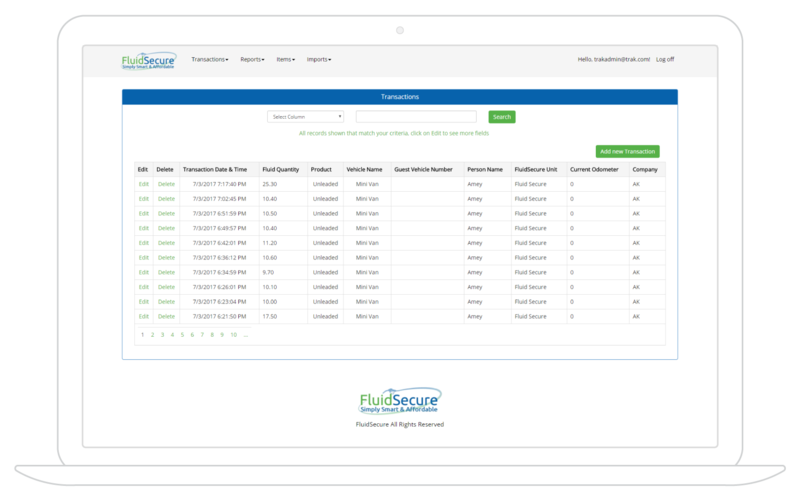 FluidSecure has revolutionized the world of fluid management. Our Simply Smart Technology ensures complete control and security that is affordable for fleets and businesses of any size. 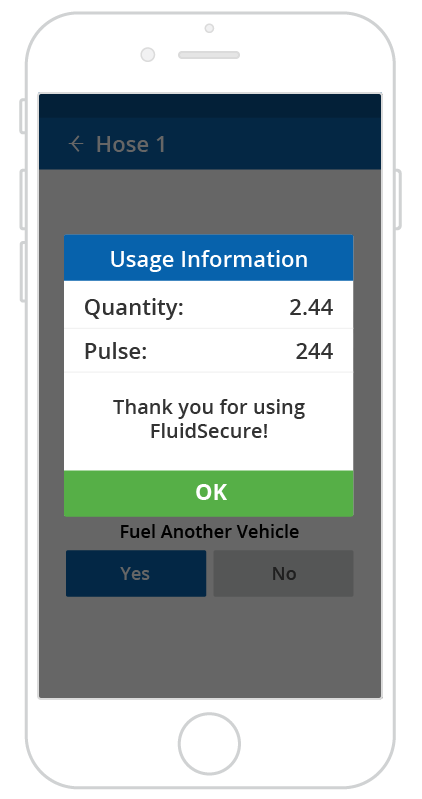 FluidSecure is The Next Generation of Fuel and Fluid Management which includes the FluidSecure LINK, CLOUD, APP and HUB, and uses the power and flexibility of modern smart phone technology, along the ubiquity of the cellular phone network, and is securely hosted on the fast and powerful Microsoft Azure cloud based servers. It is an incredibly cost-effective, easy to install, user-friendly solution, ultra-low maintenance solution, and is revolutionizing the world of Fluid and Fuel Management with our Simply Smart Technology, which uses smartphones and cloud technologies to offer everything that a traditional system does, but at a fraction of the cost and is simple and easy to use. 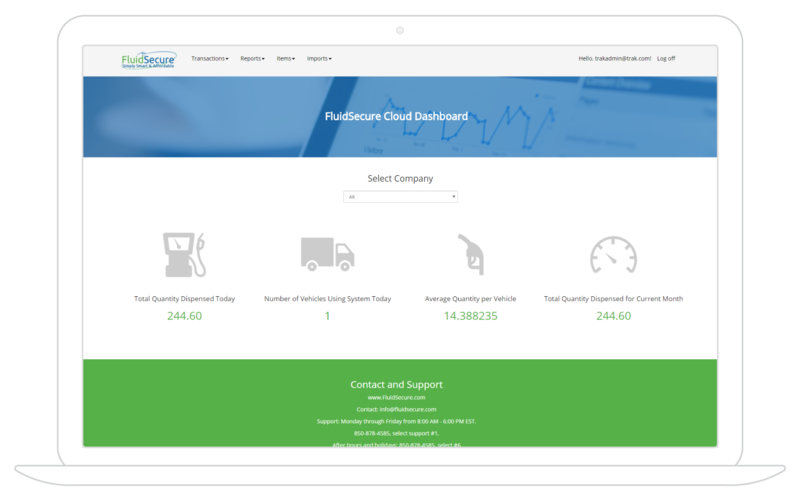 FluidSecure is a revolutionary solution to manage your fuel and fluids and a paradigm shift on how the industry secures as well as collects, manages, accesses, reconciles and consolidates its data. 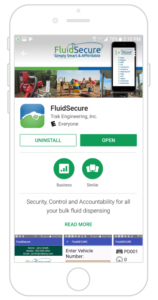 On this page will find a detailed explanation of how FluidSecure operates and how it’s innovative technology makes for an affordable solution (at a fraction of the cost of a traditional pedestal based system) which is easy to install, extremely low in maintenance and more importantly, easy to use for everyone. Traditionally, legacy fuel management systems have consisted of a large island based “tower/controller” which houses a multitude of small computers, displays, keypads, key readers and many control circuits to control the power to a dispenser and receive quantity data. These systems require extensive conduit work and installation effort to install on a fuel island. 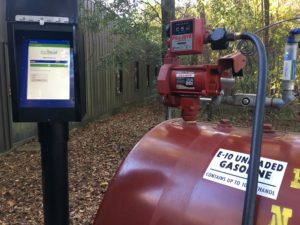 They act as standalone data entry and user interfaces and as such send the resultant fuel data back to a centrally located PC or server which allows the system owner to update data and print fuel usage reports. The LINK is a small solid state electronic device that controls power to the dispensing hose solenoid valve. It communicates to the user’s cell phone or tablet via an internally generated secure Wi-Fi direct signal which has a range of 300 feet. (one LINK is required per hose). Next to price, one of the biggest advantages of LINK, is that it is easy and quick to install, usually in less than 2 hours. This low cost, low maintenance solution was designed with the customer in mind. The App works on all smartphones and is available for both Android and Apple’s IOS and are simply downloaded from either the Android Play Store or Apple Store. The APP allows the smartphone to communicate via the cellular network to the software solution in the FluidSecure CLOUD. 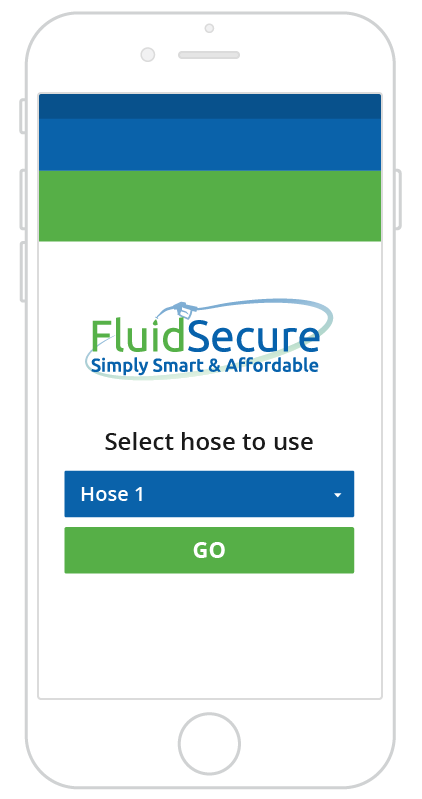 The smartphone connects with the requested hose (drop down list of the hoses available for the particular user is made available on the APP.) via the Wi-Fi direct signal explained above, via the LINK. Once the connection is established, the smartphone will act as validation that the user can request and carry out the transaction (all security, rights and user profiles are set up in the main database that the APP and LINK utilize to authenticate the user and transaction – security is explained in the points below). 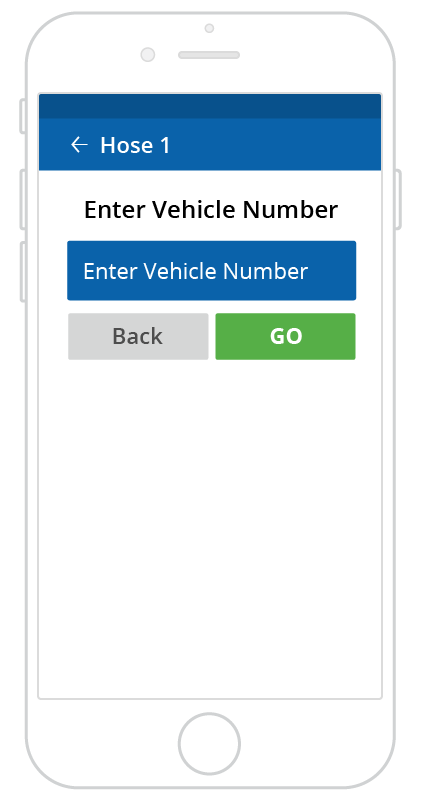 The combined power of the APP and CLOUD keeps track of the transaction, quantities, hose number, vehicle number, personnel number, odometer readings and any data required or deemed important to further report on. All users are given various permissions, types of fuels, fluids, hoses, locations, times they can access the pumps, types of vehicles, maximum amounts they can access (daily, by vehicle, weekly, etc..). Every time a user accesses a hose, a validation is done to grant them permission via the LINK and the CLOUD database. The initial set up of a user can be uploaded and inputted into the database by the administrator and/or the first time a user downloads the APP and requests access, the solution will alert the administrator, who will then allow them to approve and create the user along with all the security and rights. The solution’s database resides on an Microsoft Azure Secure Server which can be accessed by anyone with authorized permission and rights. They can view all the data being collected, create personalized dashboards allowing then to see and manage important and relevant information. The CLOUD is where all personnel, vehicles, hoses, LINKs, fuel and fluid information resides. All security and roles are created and managed in the CLOUD. The servers are backed up, secured and are infinitely expandable as your fleet grows. A typical transaction starts with the user arriving at the fuel location and placing the hose nozzle into the vehicle. The user would then access the FluidSecure APP on his smartphone. Once the APP opens, the smartphone will connect to the CLOUD which receives a signal to validate if the smartphone is registered if approved, it then gives the user access. The user will then select a hose by choosing it from the drop-down options displayed to them on the smartphone APP. The CLOUD will then access the user’s security data and will validate whether the user is allowed to proceed. Once approved, the user is then prompted to enter relevant data such as; vehicle number, odometer reading, then all other restriction parameters are authenticated, such as type of fuel, fuel limits day / time limits, etc. (as determined by the company’s’ administrator). All of this happens in real time via the smartphone. Once the CLOUD server authentication is completed, only then is the transaction allowed to proceed. The smartphone now connects to the LINK via Wi-Fi Direct and sends a command to the LINK to turn the pump on. Once pumping begins the LINK transmits the quantity data to the smartphone in real time. When the user finishes pumping, the APP will transmit the completed transaction data to the CLOUD server. The Wi-Fi data connection is then terminated. Should the FluidSecure HUB be in use in lieu of a smart phone, the validation steps are the same and the only exception will be that the user will have to manually input their personnel identification number into the tablet APP for validation purposes. Once the transaction is complete, an email receipt with all the transaction details is sent to the user, or anyone else specified, thus eliminating the need for a printer. The Hub is used in an environment where not all users have a smartphone or where drivers are not permitted to use their smartphones. For added flexibility, the FluidSecure solution also allows the customer to use the HUB and a smartphone in tandem. The FluidSecure HUB is a pedestal unit with an enclosed housing where a 10” Tablet is securely installed inside. The tablet is positioned with a tilt to make it easy to see in the bright light. To ensure the HUB is functional in most weather conditions, it includes a cover, fan, and heater. The HUB requires no wires or conduit between the pedestal and the pump(s), like the smartphone option, HUB uses Wi-Wi Direct technology to connect with the installed LINKs. 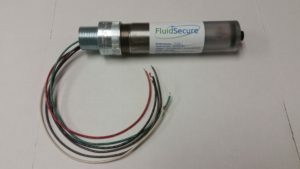 One FluidSecure HUB can control up to 4 Pumps/Hoses. The location of the pedestal does require the customer to have 110 or 220 power and cellular service at the fueling island. The Tablet operates in the same manner as the Smartphone asking the user for their personnel identification, vehicle or equipment ID, odometer, and hose number. Tablet E 10.0″ – 16 GB memory with Cellular Data Plan, includes 1 GB of data per month. The customer can supply their own tablet and cellular plan, or can purchase it as complete turnkey system from FluidSecure at an additional cost. FluidSecure HUB Pedestal with included, housing, cover, heater, fan, secure tablet bracket. 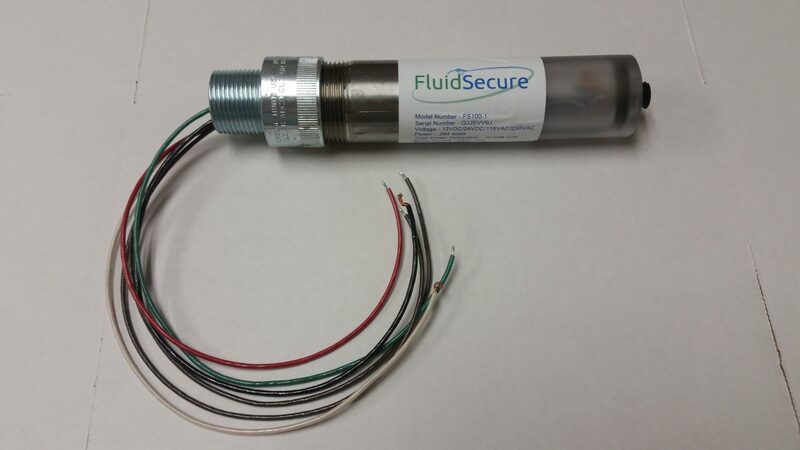 A 6” by 1½” Cylinder FluidSecure LINK that connects to each pump to turn it on/off. One per hose is required. A Pulser connected to the pump. The FluidSecure Software App for the Tablet. The FluidSecure LINK is replaced with a new LINK asap in the event of failure. The CLOUD database and APP software is always up-to-date with the latest versions. Installation is quick and easy and is the responsibility of the customer. 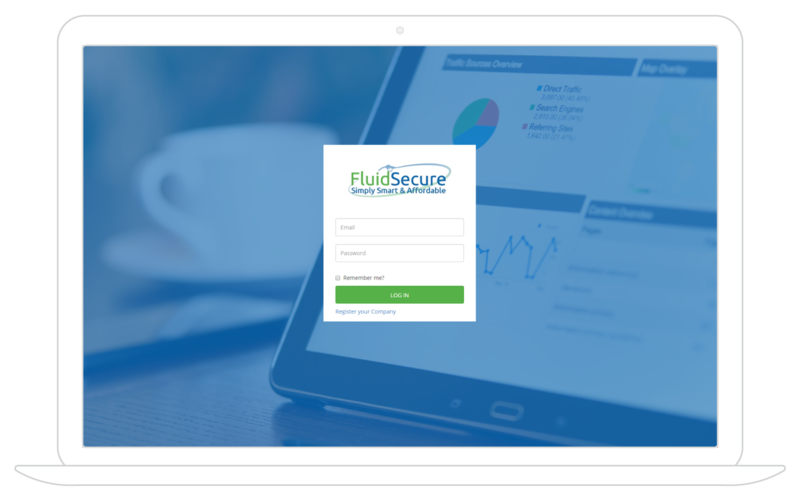 Discover FluidSecure today and regain control of your fluid management business!